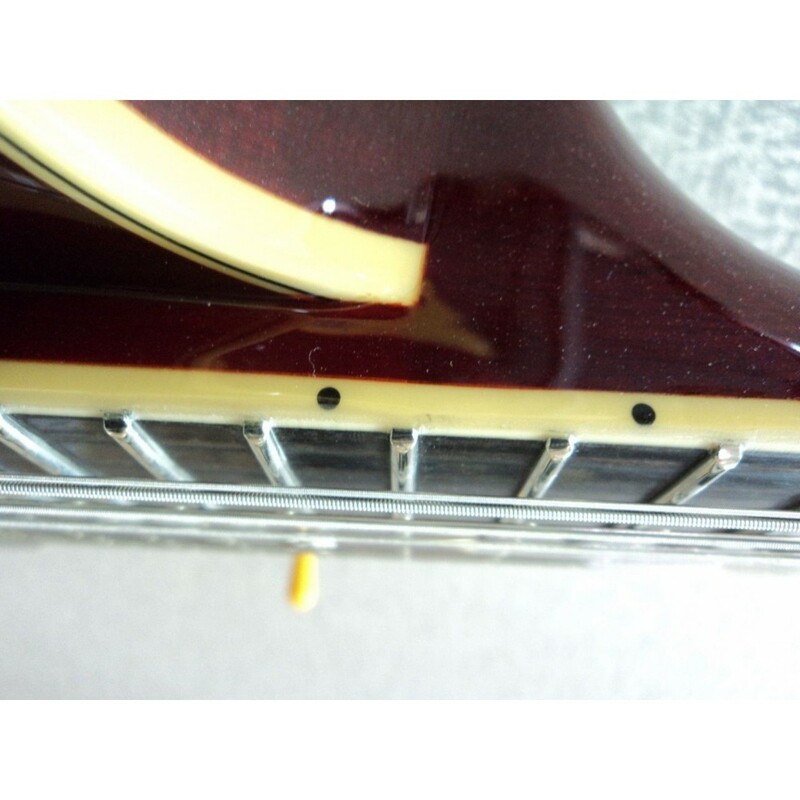 This great guitar came to us directly from Guild as a grade B1 blem because of a small blemish on the 18th fret which you can see in the last photo. 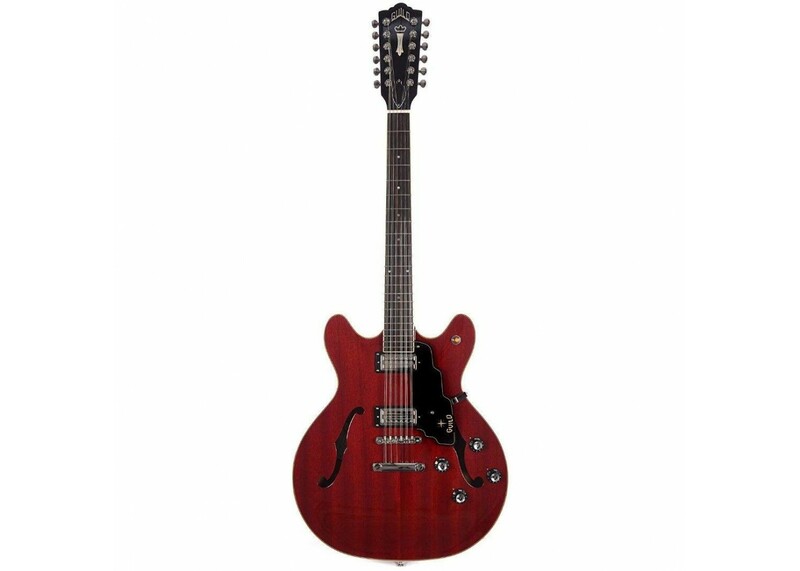 Of course we bought it for less because they considered it a B stock so we are going to pass our savings on to you. This guitar has been fully checked out for function both at Guild and in our shop. 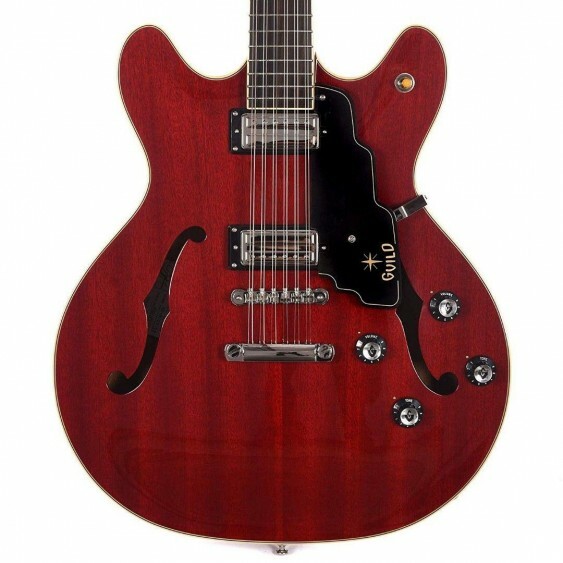 If you’re craving that 60's choral, jangly guitar tone defined by the Beatles and the Byrds, the Starfire IV ST 12-String both sounds and looks the part. 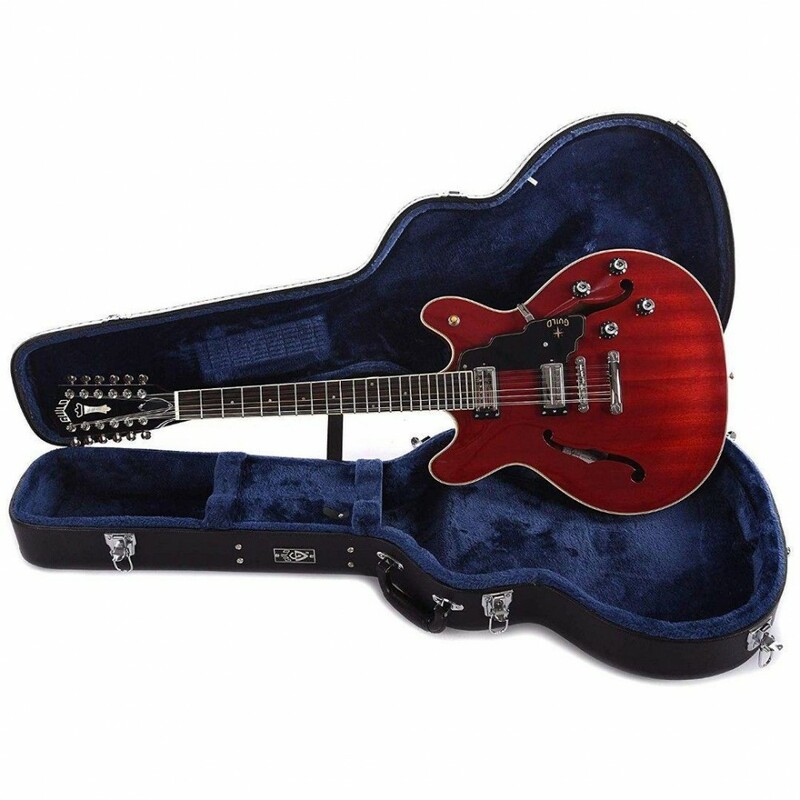 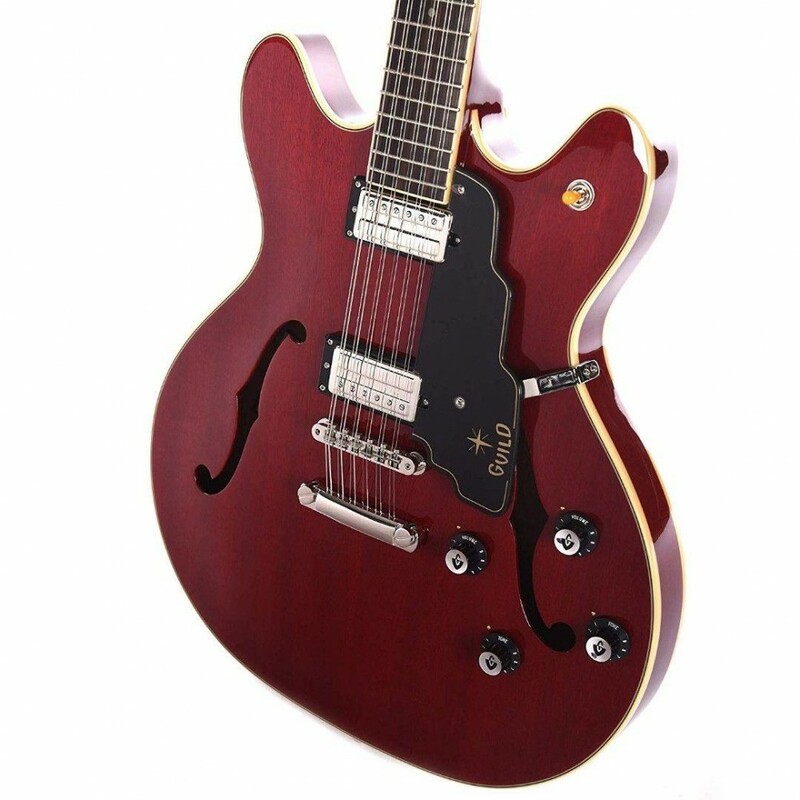 Based on our popular Starfire IV ST, this thinbody semi-hollow electric has the added power of 6 more strings! 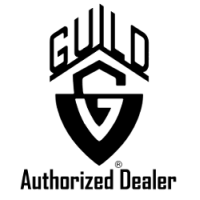 Premium features include an all-mahogany body, solid spruce center block, ebony fingerboard, and Guild’s hallmark mahogany neck with maple center seam. 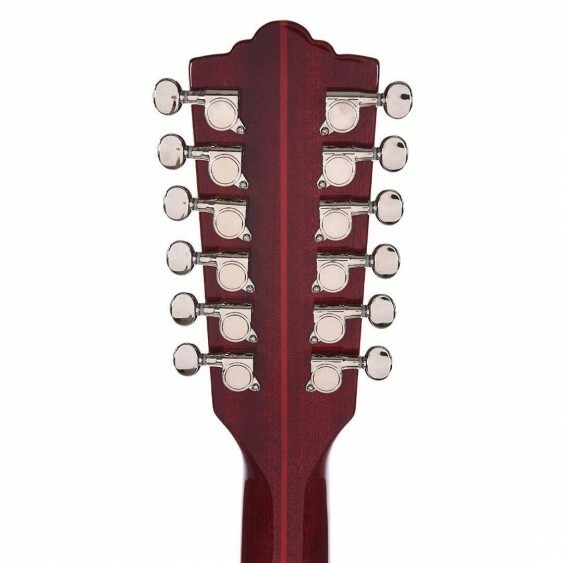 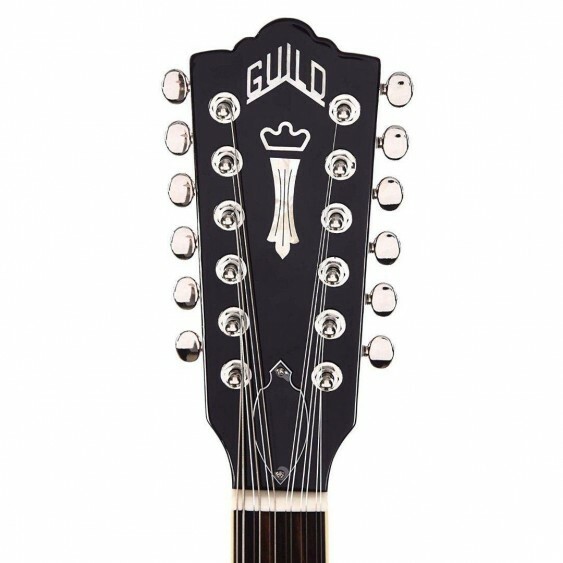 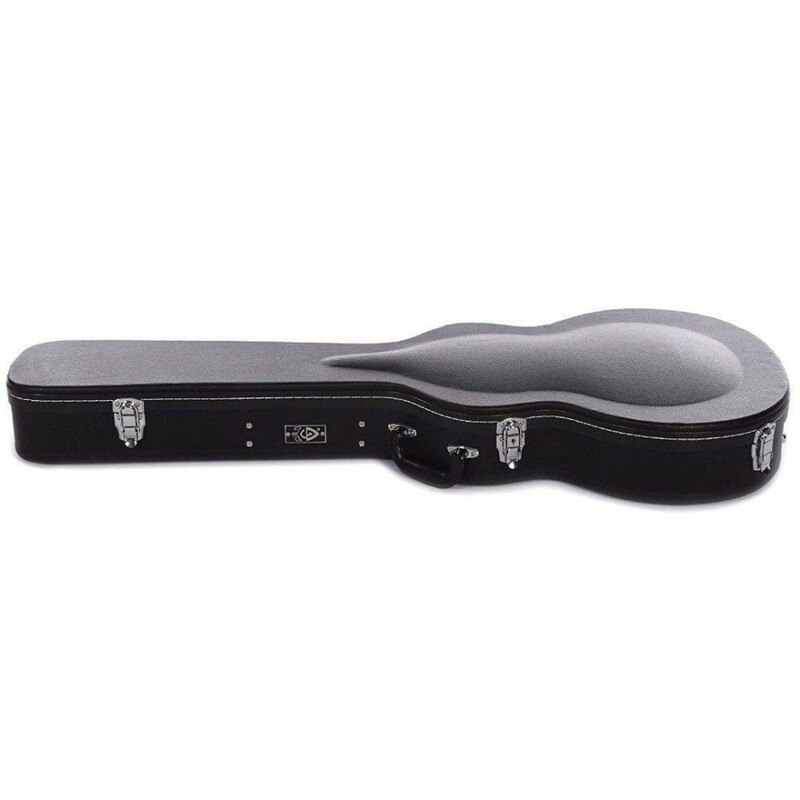 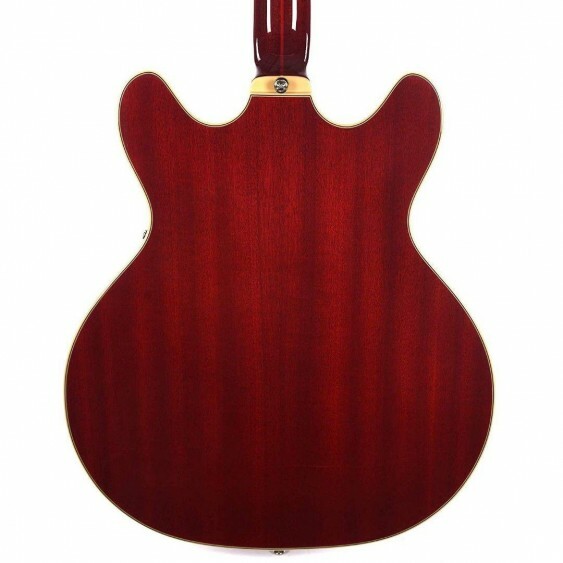 Instead of a harp tailpiece as seen on the first Guild electric 12-string (the Starfire XII made from ’66-’74), this modern version has a Tune-O-Matic bridge with a stopbar tailpiece for increased sustain and stability, imperative for keeping those extra strings in tune. 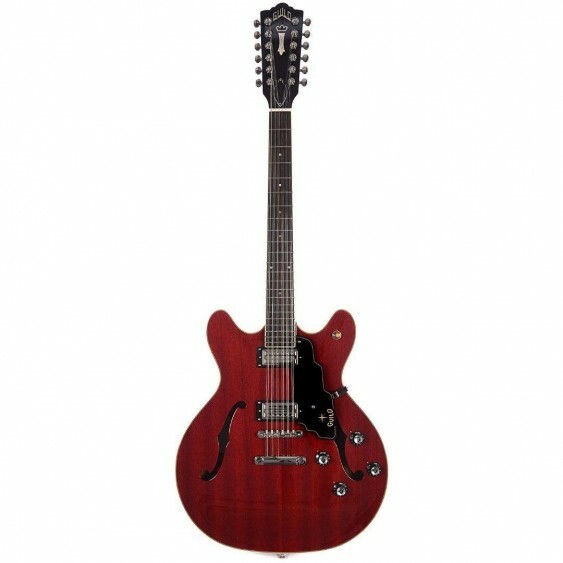 The Starfire IV ST 12-String includes dual LB-1 “Little Bucker” pickups, replicas of Guild’s original smaller size humbucking pickups.